Tottenham can take a significant stride towards securing Champions League qualification when they welcome Newcastle at Wembley on Wednesday night. This article contains our Spurs vs Newcastle betting preview with predictions, betting tips, lineups, team news, enhanced odds, exclusive promotions and no deposit free bets on midweek's Premier League games! Tottenham suffered a shock 1-0 defeat to West Brom at The Hawthorns on Saturday. They have faltered in recent weeks and have won only one of their last five matches in all competitions. As a result, Spurs need a win to move a step closer to a top-four finish because Chelsea is trailing them by only two points. Any slipup could see them lose out on fourth. They have kept a clean sheet in 5 of their last 6 home matches in Premier League and could improve this record against a Newcastle side who scored only 36 goals in 36 matches so far. Mauricio Pochettino revealed that Jan Vertonghen is available and the Belgian is expected to partner Davinson Sanchez at the heart of the back. Serge Aurier and Mousa Dembele are both out and will be replaced by Ben Davies and Victor Wanyama respectively. With Eric Dier and Harry Winks both out through injury, Moussa Sissoko is expected to feature from the off in the middle of the park. Son Heung-min is set to come in for Erik Lamela after only playing 23 minutes as a substitute last weekend. Dele Alli and Christian Eriksen will retain their starting spot behind the lone striker Harry Kane. Newcastle have lost each of their last three Premier League matches - 1:0 at Everton, 0:1 at home against West Brom and 2:1 at Watford. The Magpies currenlty sit safe in 10th place, and their motivations should be lower than their opponents. Rafa Benitez's men have kept just one clean sheet in their last 17 away fixtures and also lost the reverse match 2-0 in front of their supporters back in August. Rafa Benitez could again freshen up his side for the Wembley encounter. Javier Manquillo and Jacob Murphy may be replaced by DeAndre Yedlin and Matt Ritchie. Mikel Merino could also push for a start in central midfield, with Mo Diame's starting spot probably the most at risk. Up front, Joselu and Dwight Gayle are in contention for the lone striker berth, while Ayoze Perez should start as offensive midfielder. Christian Atsu is ruled out for Newcastle, while Islam Slimani is suspended. Ciaran Clark is a long-term injury. 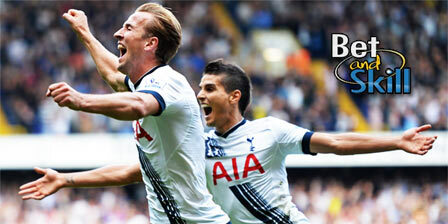 Coral offer 25/1 A GOAL to be scored in Tottenham v Newcastle + £5 free bet! UK+IRE New Customers Only. Winning bets paid in cash based on the normal price on our website. Enhanced odds paid in free bets. Free bets valid for 4 days. Losing £5 free bet excludes Coral Connect. As you may know, betting on the highest available prices is very important. The following sections contains the best available prices on the Tottenham vs Watford match winner market, selected among over 70 of the top online bookmakers! Plus, bookmakers are offering price boosts on this match! We suggest you to visit our Enhanced odds section! BetAndSkill's expert tipsters have taken a closer look at this game and selected four possible winning picks on Tottenham v Newcaslte! Don't forget you can combine all these betting tips by requesting your own odds. Check out here all the "Request A Bet Bookmakers"! Why not check out some of our best no deposit free bets or betting offers and combine them with these winning predictions and get your journey started today? Plus, if you’re looking for a particular bookmaker, head to our Top Betting Sites Page where we have the lowdown on all the biggest and best. Of course, we also offer some unmissable free predictions in our Today's Football Tips and BTTS Betting Tips pages! "Tottenham vs Newcastle Betting Tips, Predictions, Lineups and Free Bets (Premier League - 9.5.2018)"